For many, security at home has top priority when it comes to purchasing a smart home system. 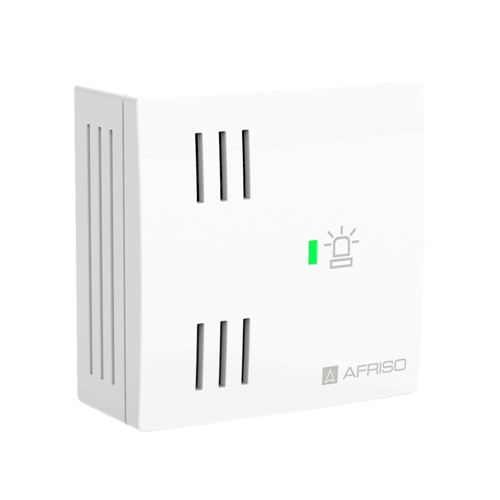 The security solutions of AFRISO Smart Home provide you with reliable solutions in the areas of burglary, fire and water damage and you can easily compose your own smart home alarm system. 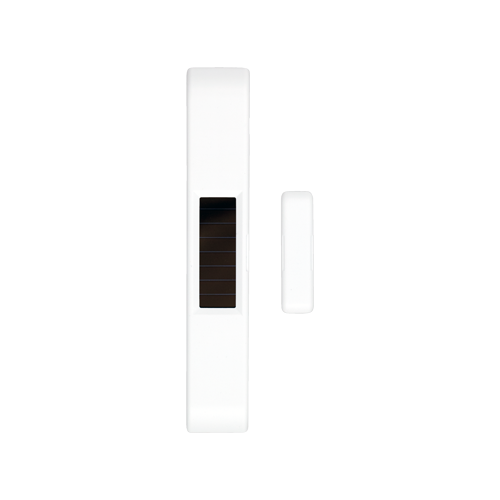 With the door/window contacts AMC 10, you always know what the status of your doors and windows is and can respond to unwanted trespassers. 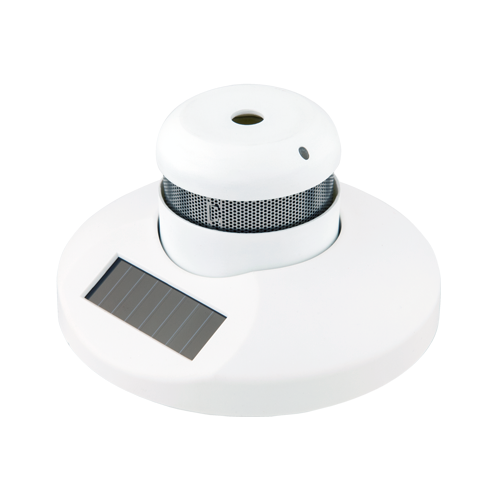 The smoke alarm ASD 10 alerts you directly and additionally via the indoor siren AIS 10 to smoke and life-threatening situations in your buildings. The water sensors eco and con generate alarms in the case of water leaks and thus prevent major damage. The door/window contact is simply attached to the window or the door by means of adhesive tape. 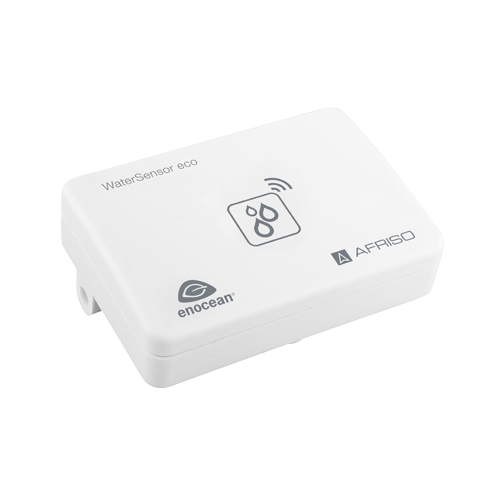 Place the water sensor eco with the fibre strips facing down behind your washing machine or below your bathtub outlet. 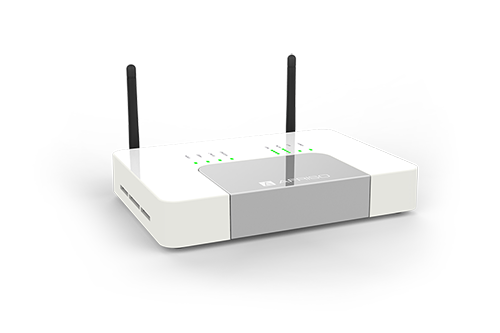 Due to the energy harvesting method, the sensor does not need a connection to the power network and it is not necessary to replace batteries. Also, the sensor operates in dark spots because it does not rely on ambient light to generate energy. Simply install the smoke alarm at the ceiling of the room, you should make sure that the alarm is located in the centre of the room and that it is neither installed at sloped ceilings nor in draught. Plug the indoor siren AIS 10 with the plug directly into a power outlet. In large apartments and houses, you should distribute several sirens in the house, this way it is guaranteed that you can really hear the alarm noise everywhere in the house. 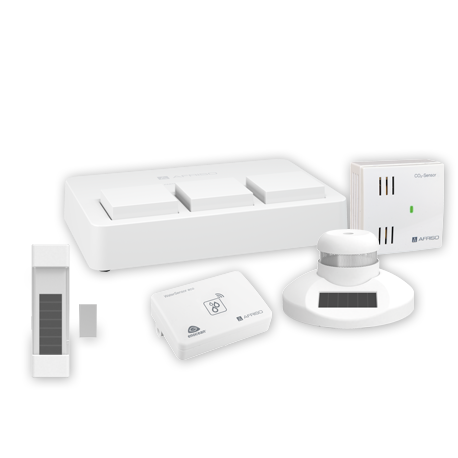 All sensors and actuators are taught in via the AFRISOhome gateway and interconnected there via different if-then programs. For example, you can program the door/window contact in such a way that an alarm is triggered if the state changes after 23 p.m.
A starter kit is available for this application.